Sometimes cleaning isn’t the number one priority when it comes to our home environment. Whether it is deep in the frozen depths of winter, or halfway through a summer-long heatwave, we often find that our houses become bottled up in certain seasons and need to be aired out! The humidity of this balmy summer can creep inside, and trying to keep the heat out with AC just encourages us to keep windows closed. This recirculated air can gradually drop in quality over the days and weeks that it gets blown in circles around your house. Luckily there are a few tips for the summer that can let us air out our homes and improve home air quality. First of all, you should ensure that your furnace or central air filters are all replaced regularly. These filters are the number one defense when it comes to bad air, since a dirty filter is going to reduce air quality as long as the air conditioning is on, but a clean one will actually improve it. The next step is the ducts themselves. These ducts collect dust and grime over their entire lifetime, which is why some people can get a fain whiff of smoke years after the last smoker has left a house. Getting your ducts cleaned in the spring or fall is a great way to ensure that when the windows get closed, the air stays fresh. Aside from cleaning your filters and your ducts, be sure to clean the outside as well as the inside of your vents! 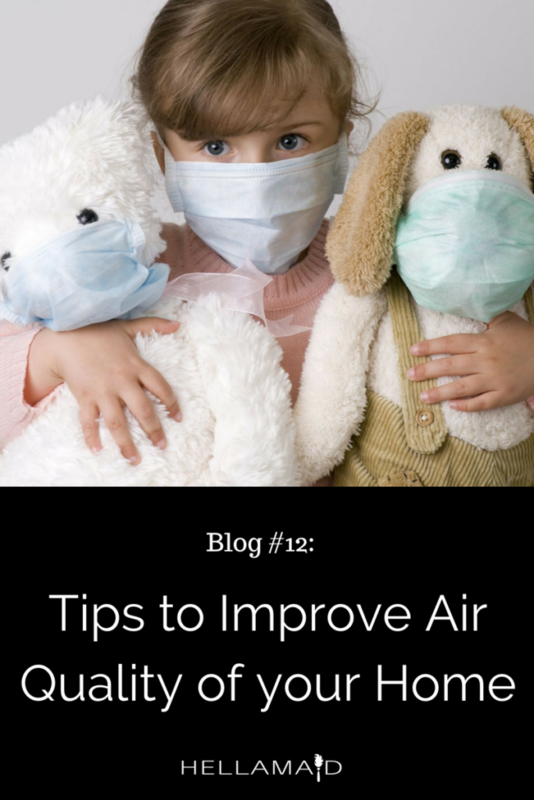 Once you have all those key points cleaned, or if you don’t have a forced air system to begin with, you can start looking at other strategies to improve air quality. Our modern super-insulated, air-tight homes do not allow drafts to flow from outside or from room to room. This can cause problems when we find our basements or certain rooms cool, so we close up vents to stop the AC getting in. Higher pressure in the closed ducts can restrict airflow to other parts of the house. Likewise, it might feel cooler to have a breeze blowing directly onto us, but that’s because of the evaporation of sweat, not a reduction in temperature. By having fans blowing onto our bodies, we might be neglecting proper airflow in our homes, which can actually lead to the home heating up or becoming more humid. A simple strategy to exchange the air in our homes is easy to remember and implement. Simply find the cool air, and put it in your house! But remember that fans do a much better job of pulling air out of high pressure (hot) areas than blowing it in. So on a cool night, open all your windows and put a fan in the hottest room blowing out. Leave your vents open in the basement, but use a fan to blow the air upstairs as well. By keeping your ducts and filters clean, and regularly exchanging the air in your home, you can ensure it stays fresh even through a scorching hot weekend.